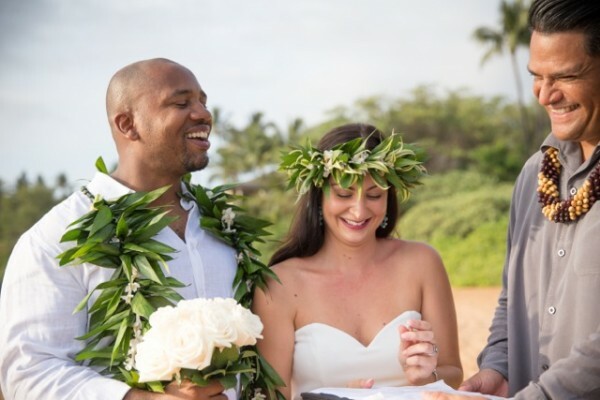 Sharing a laugh with Deven and Jade, who had an intimate ceremony, surrounded by their closest family and friends on Paipu Beach, Makena. Despite Hurricane Ignacio’s earlier threats of rain, the sun shined on Jeanie and Alex’s wedding day at Sugar Beach Events. Busted!!! Not so sneaky “Paparazzi Shot” of Zhanna and Stefan’s post wedding photo session. 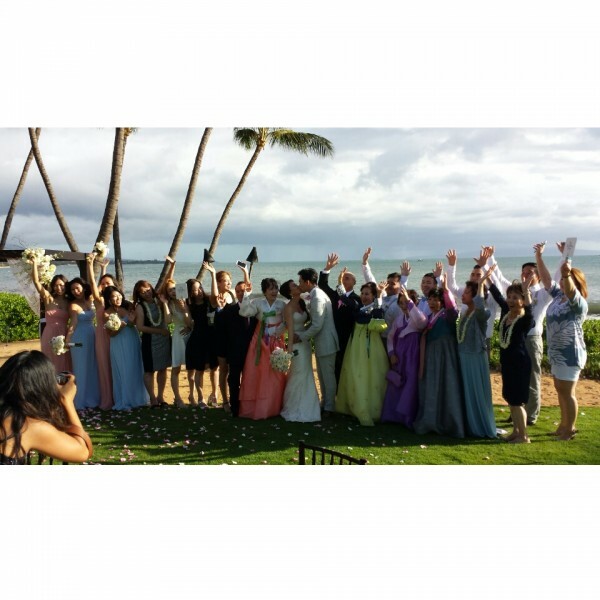 -with Laura Creider of Four Seasons Resort, Shawn and Adam of Love and Water Photography.